There are many options for loading wheelchairs and scooters into vehicles. 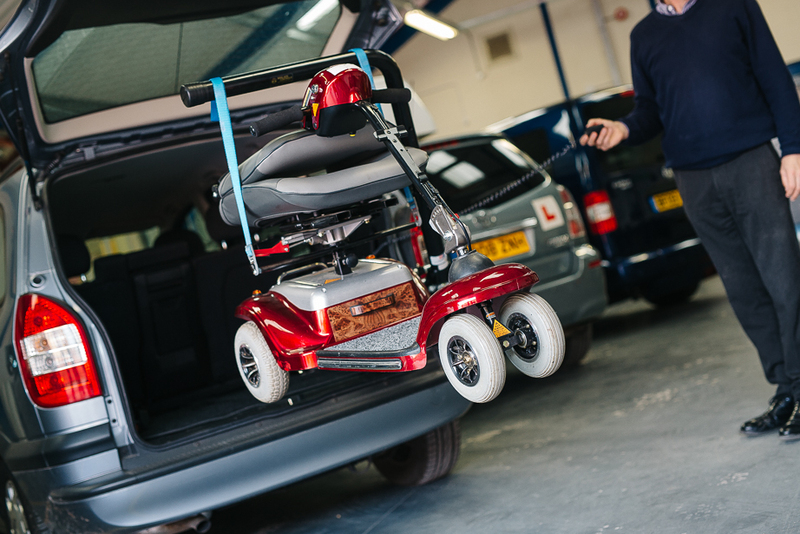 During an assessment various options and methods can be demonstrated ranging from using unmodified estate cars and MPVs to fully wheelchair accessible vehicles with lowered floors. Many people find electric boot mounted hoists the most practical way of loading heavier equipment into vehicles, these too can be tried at the Centre.